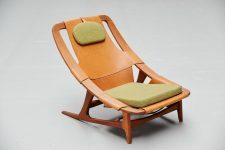 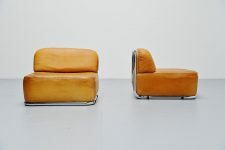 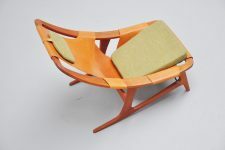 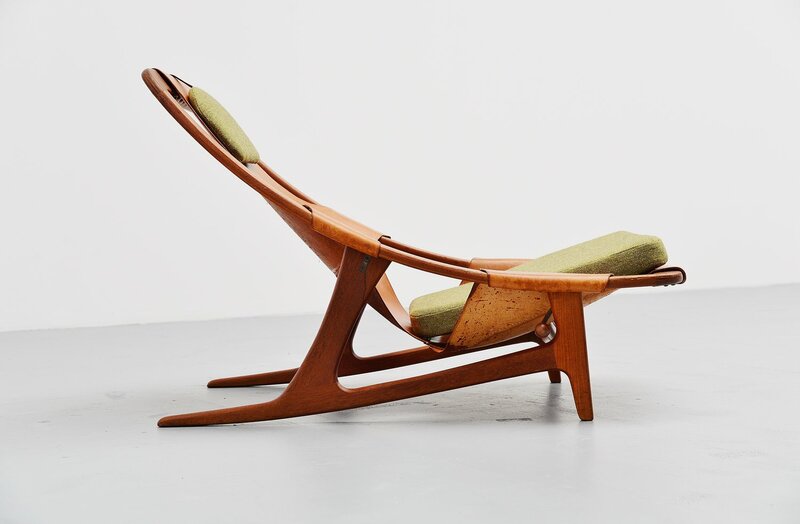 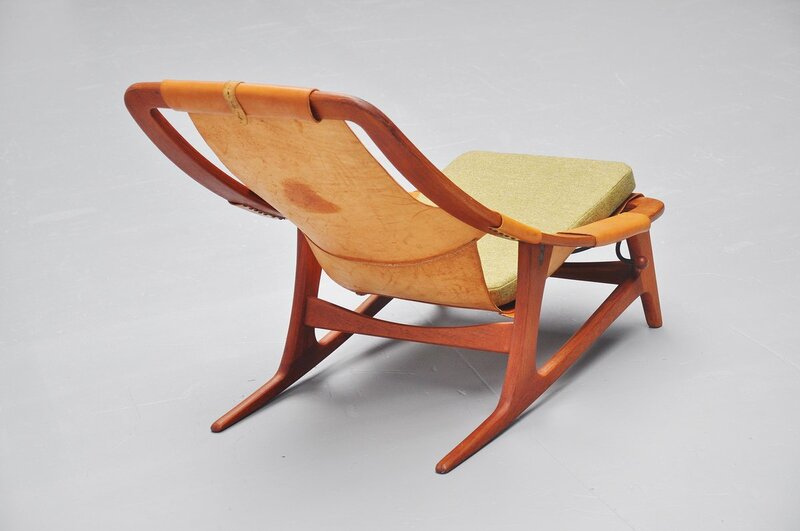 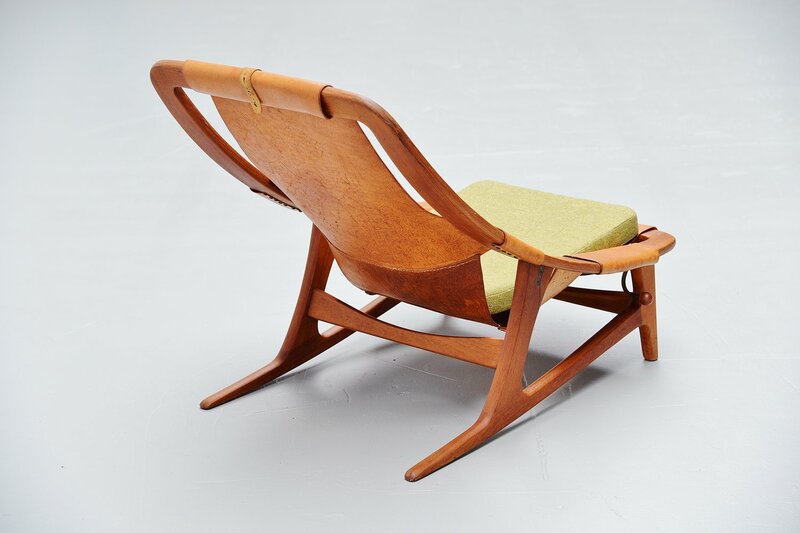 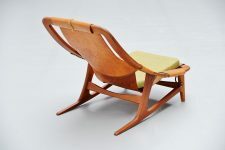 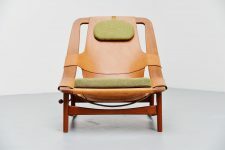 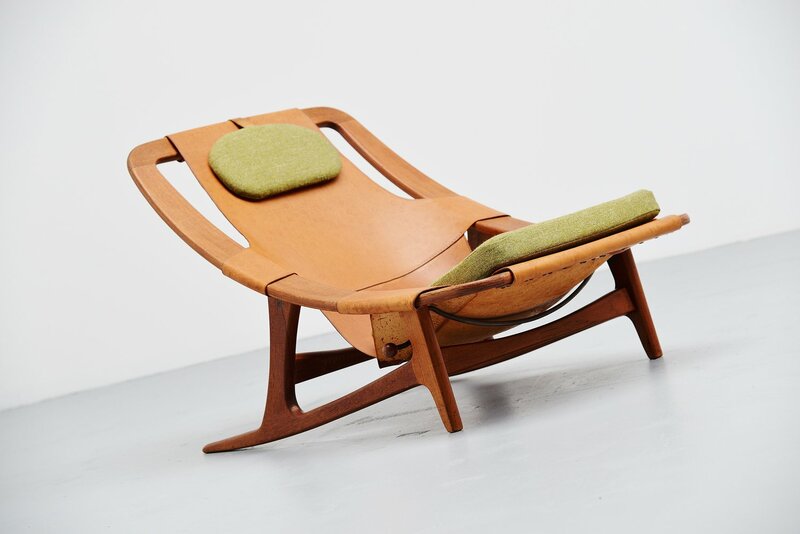 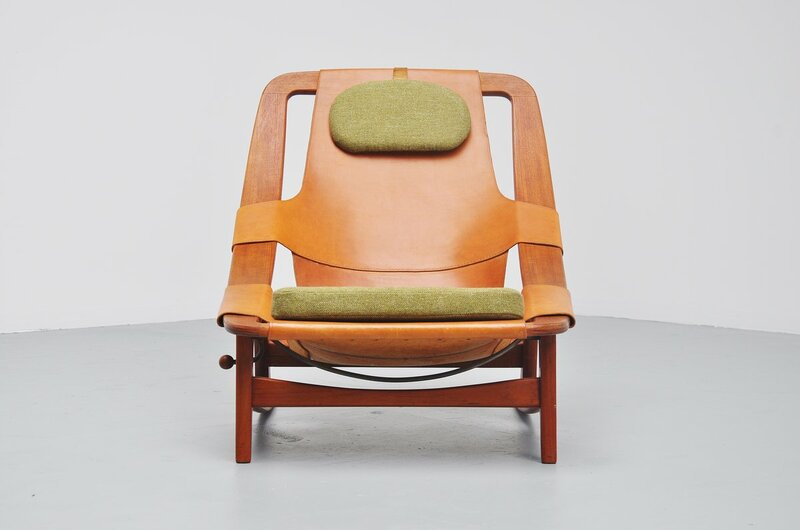 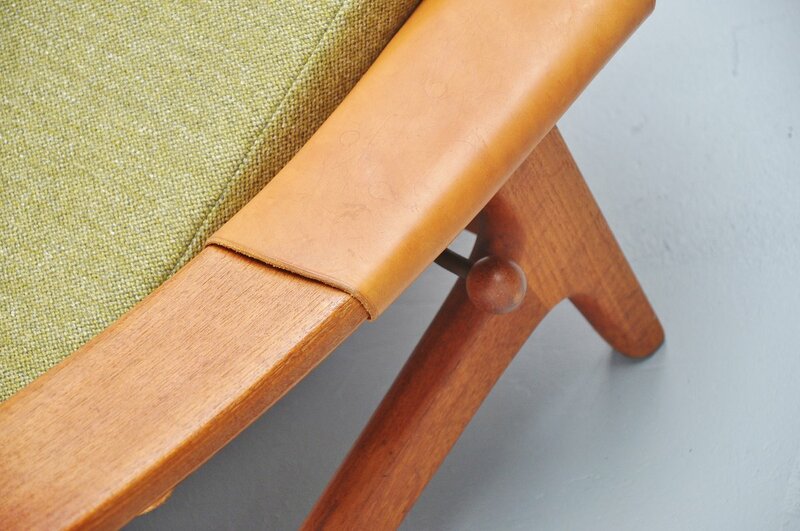 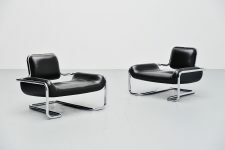 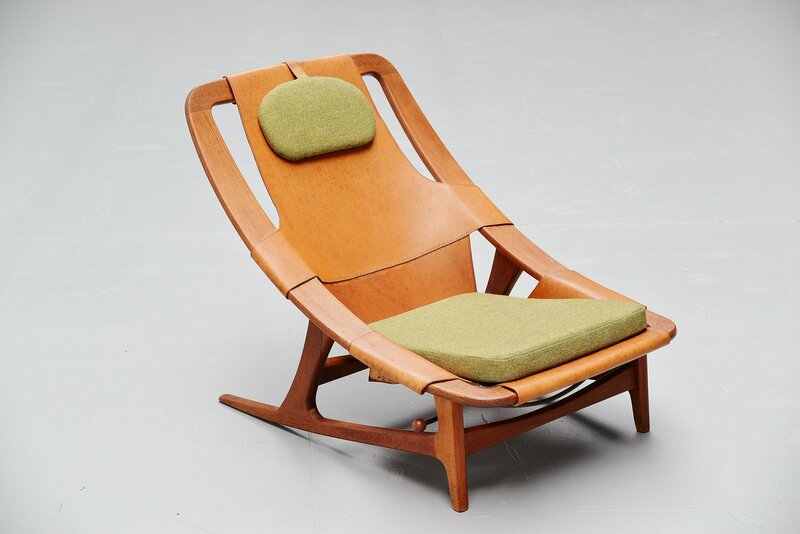 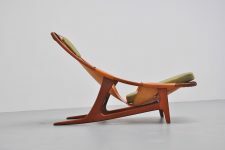 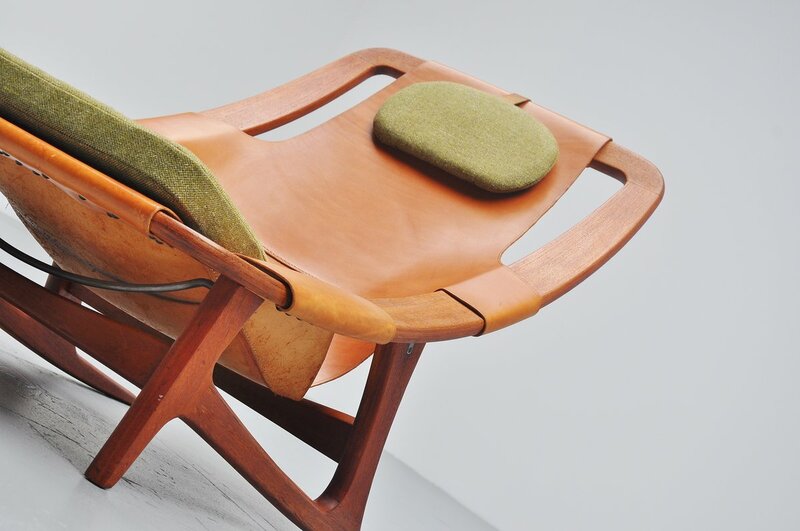 Amazing lounge chair designed by Arne F. Tidemand Ruud for Norcraft, Norway 1959. 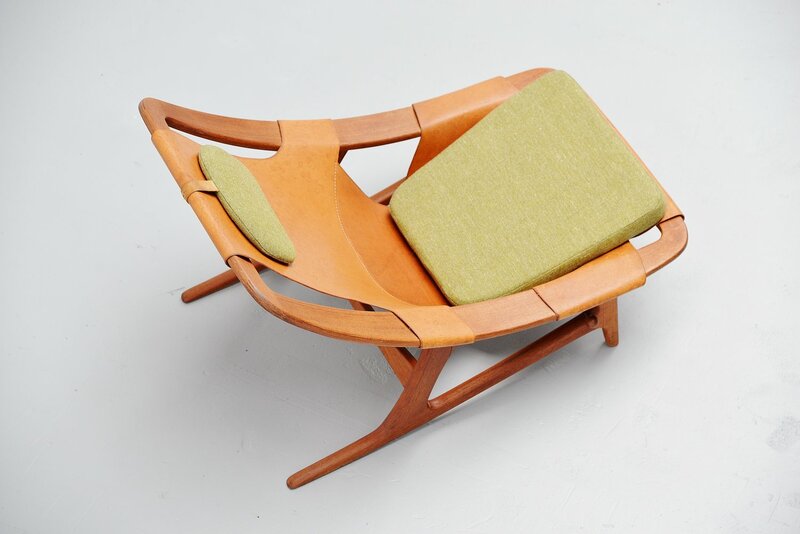 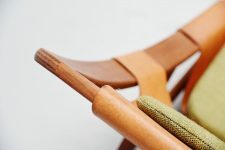 This super dynamic and amazing shaped lounge chair has an ingenious adjustable system. 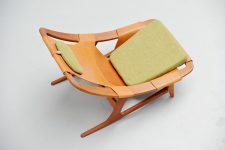 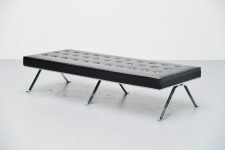 For super lounge function or more reading function. 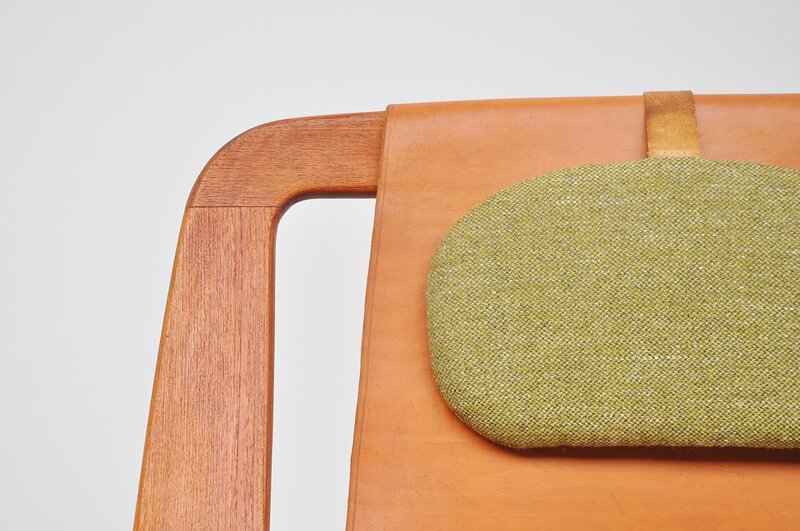 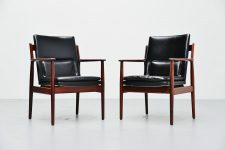 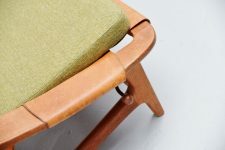 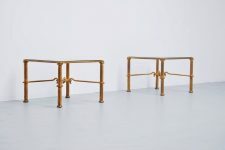 The frame is made of solid teak wood, has a thick natural leather seat and green upholstery close to what it originally was. Excellent lounge chair and what a beauty! 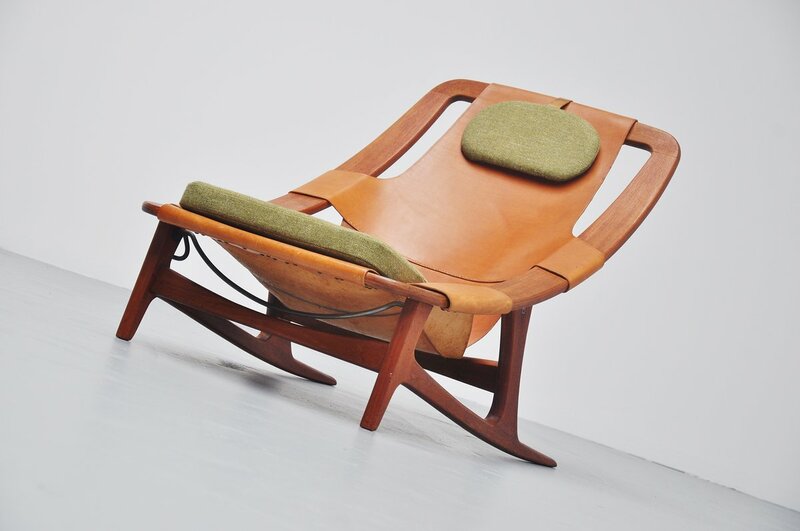 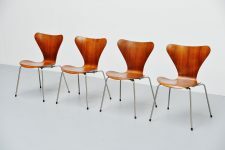 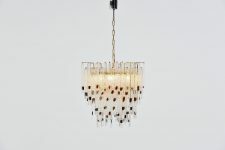 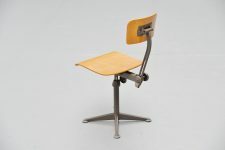 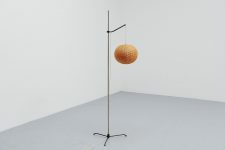 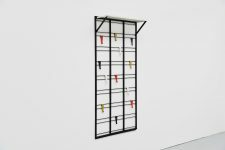 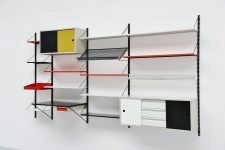 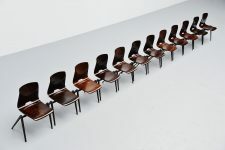 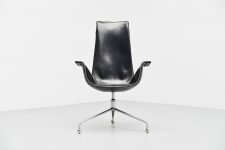 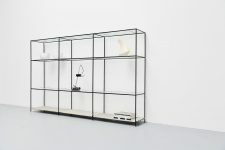 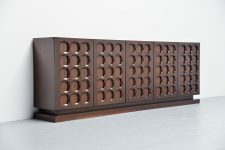 One of my personal favorites in Norwegian Design history.